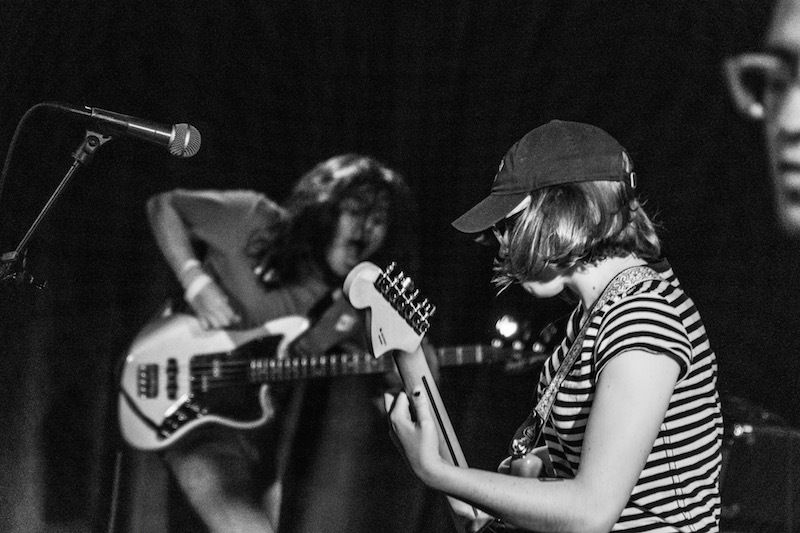 Can we talk about Chicago's bustling music scene right now? 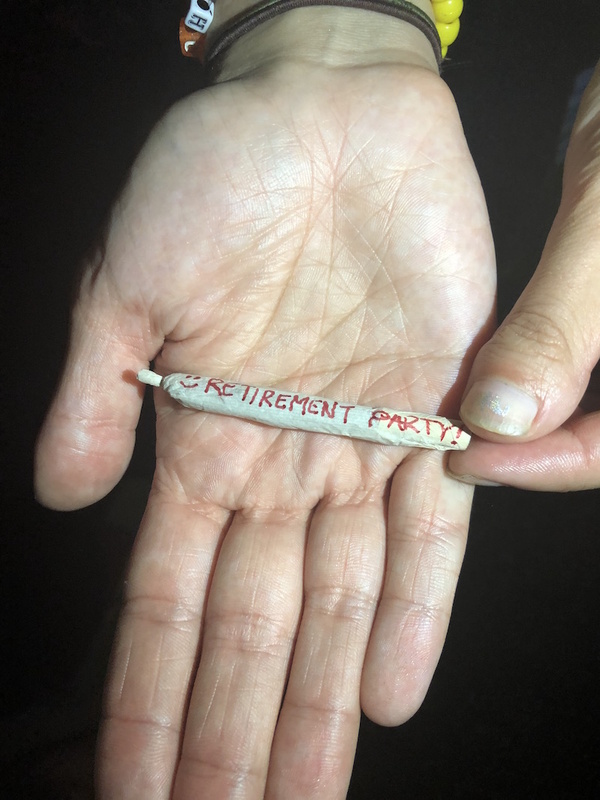 One of our favorite acts to come out of the Windy City as of late, Retirement Party, represents everything we could ask for in 2018—honest lyrics, gritty production, and an energetic party rock spirit. 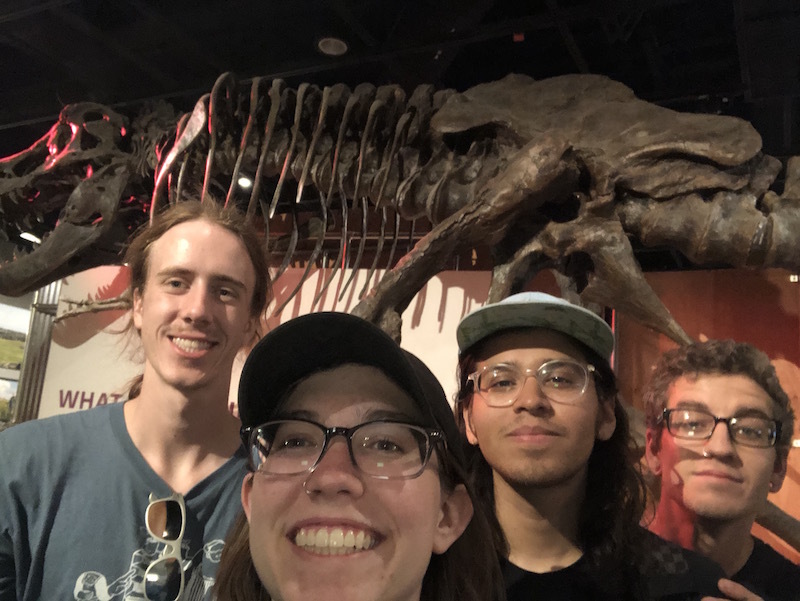 Led by vocalist/guitarist Avery Springer, the trio has been making waves thanks to their debut LP, Somewhat Literate, which boasts repeat-worthy tracks like "Passion Fruit Tea", "Shoulder It", and "That's How People Die". If you've been sleeping on this LP, check it out immediately if you know what's good for you. 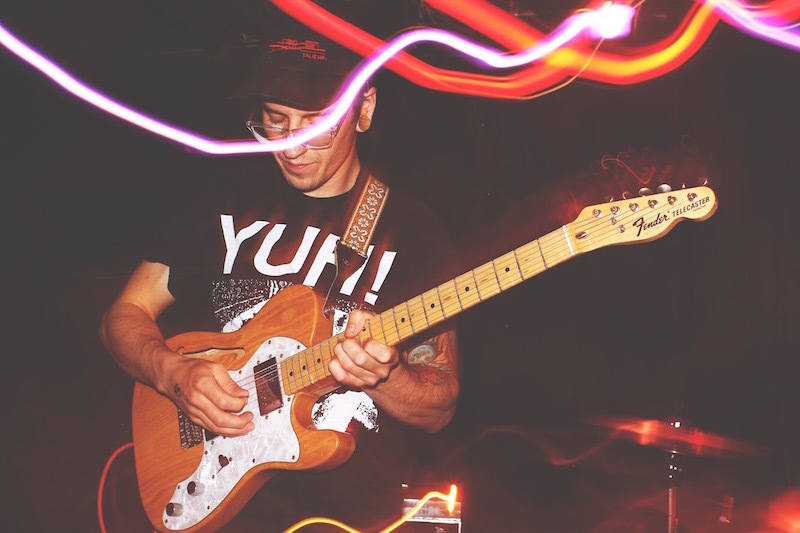 In support of their latest album, the group—Springer, Nick Cartwright, and James Ringness—hit venues across the country for a full summer tour, stopping in cities like Boston, Washington DC, Brooklyn, and Atlanta. 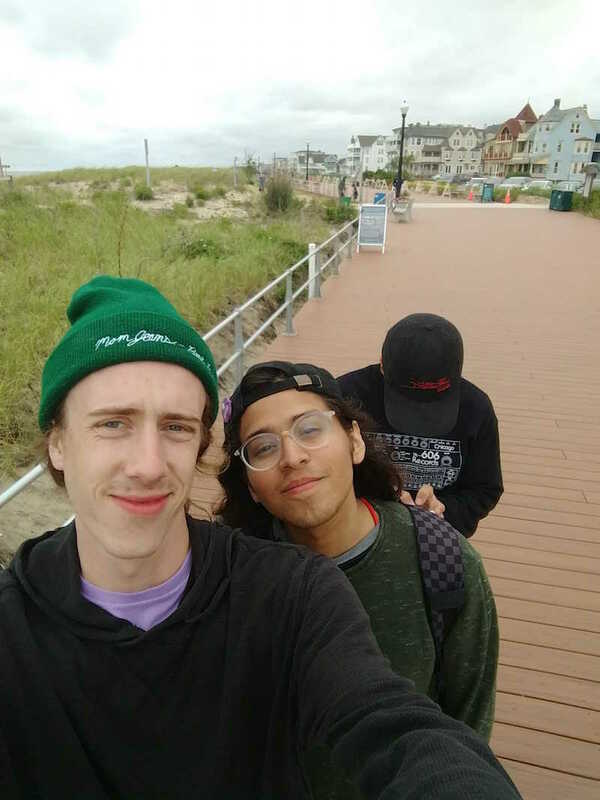 The rising stars let us in on some of the action in-between shows, including stops at Edgar Allen Poe's house in Philly, Asbury Park's iconic boardwalk, and a friend's crib for breakfast burritos. 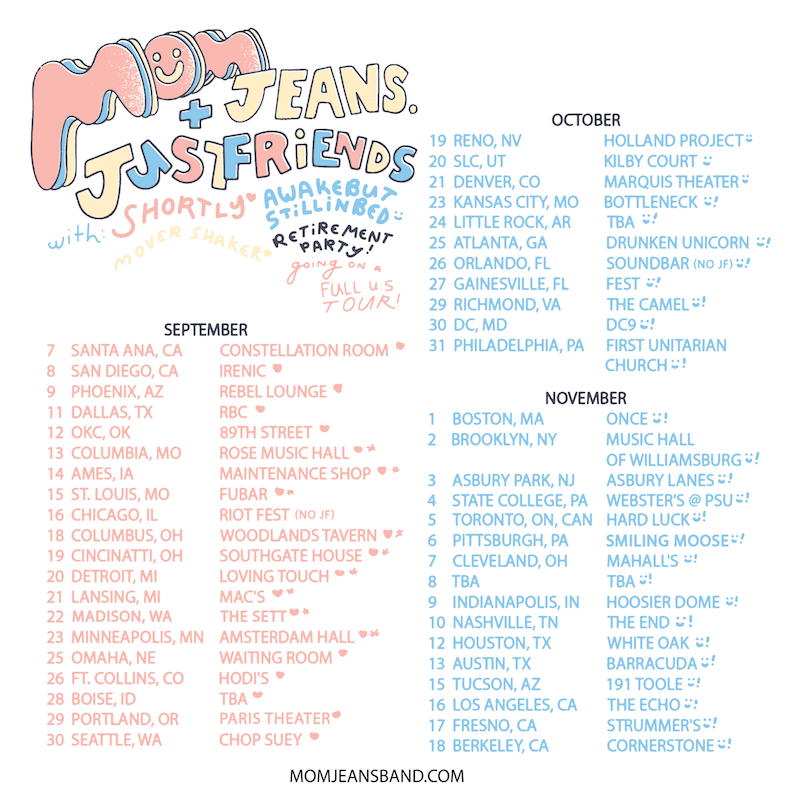 Check out the photos below, then make sure to track Retirement Party on Bandsintown to get updates on their upcoming tour with Mom Jeans, Just Friends, and Awakebutstillinbed! Picture from our record release show at Beat Kitchen in Chicago taken by Andrew Boschini. 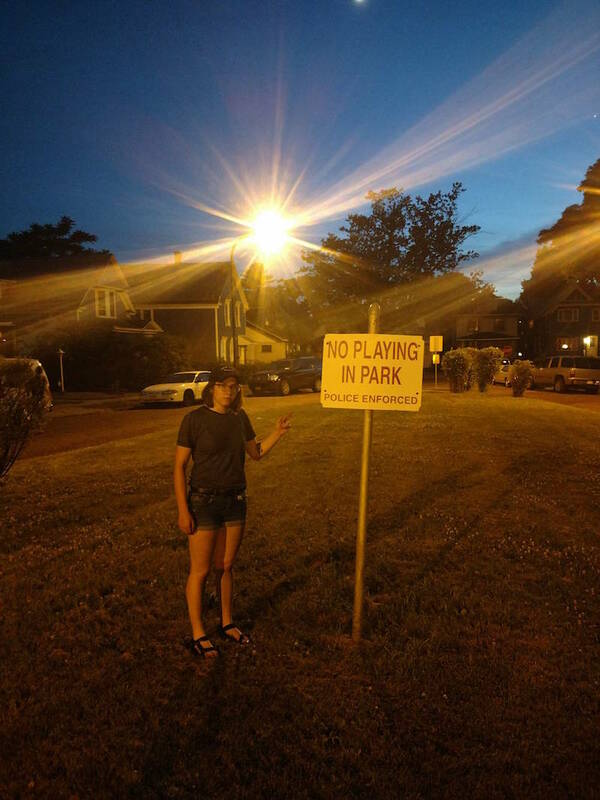 No playing allowed at this neighborhood park in Buffalo! Some lovely kids in Albany rolled us a personalized joint. Nick rocking rolling in Buffalo. Photo by Jess Hall. 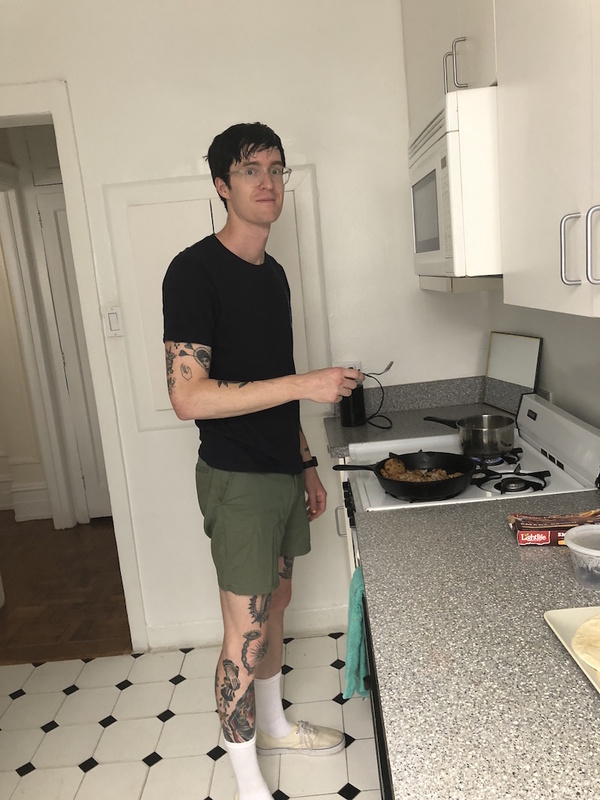 Our dear friend Ben from Hemingway hosted us in midtown Manhattan and made us the best breakfast burritos. Walking along the boardwalk in Asbury Park. 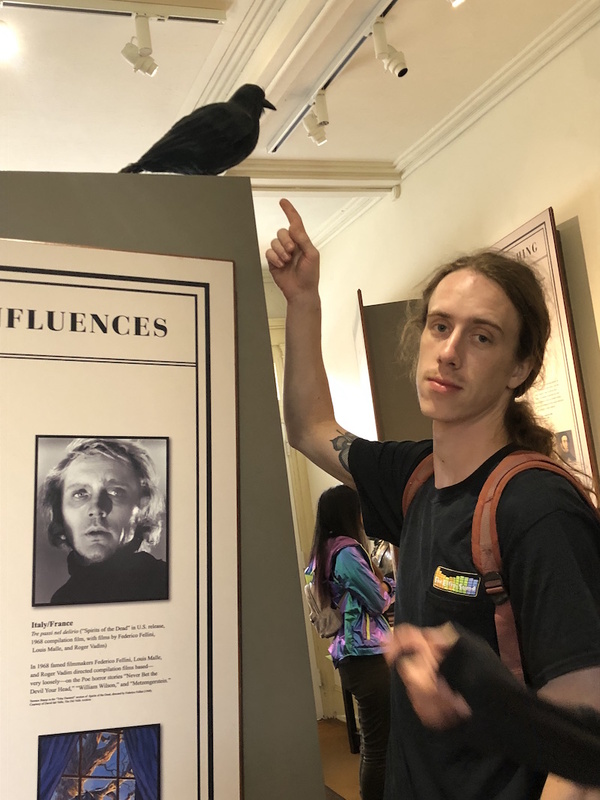 We went to the Edgar Allan Poe house in Philly and learned a lot about EAP. 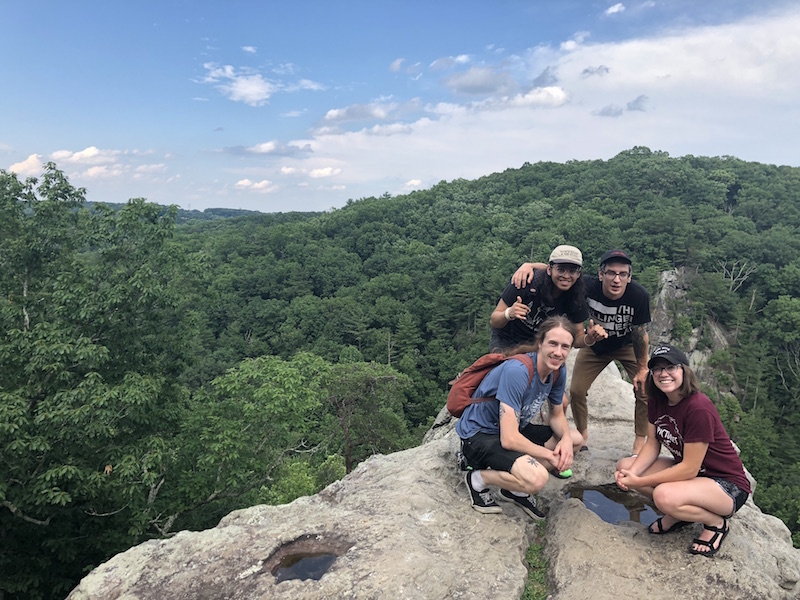 Went hiking at Rocks State Park and enjoyed some nature in Maryland. 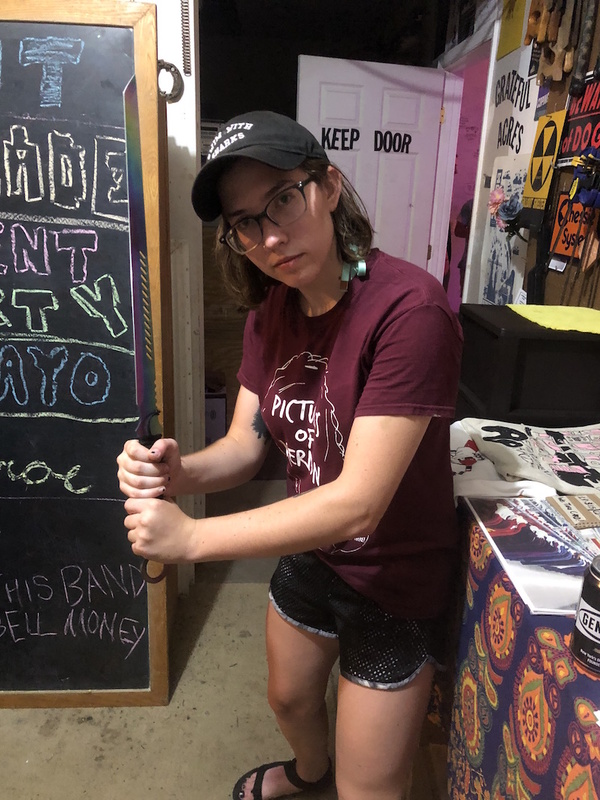 There was a sword at the Fallston, MD show, so I snagged a pic with it courtesy of Sammy Gagnon. Straight chillin with the dinosaurs in Washington DC.